The 6-10 Fajardo averaged 21.0 points, 11.3 rebounds, 2.3 steals and 2.0 assists for the period of July 9-15 on the way to snaring the weekly citation, beating former college rival Greg Slaughter of Barangay Ginebra. The pride of Pinamungahan, Cebu kicked off the playoffs by pouring in 27 points on 10-of-16 shooting from the field and grabbing 13 rebounds as the Beermen overhauled a 24-point, first-half deficit to stun the TNT KaTropa, 121-110 in Game 1 of their quarterfinal duel. 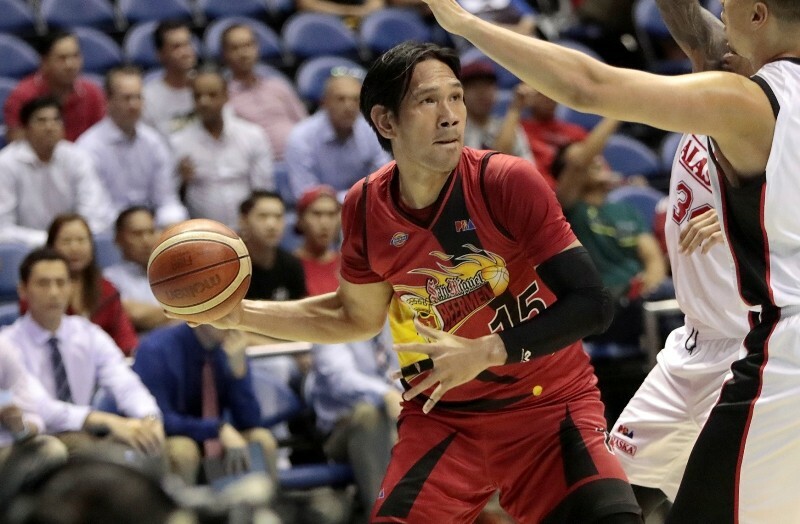 The reigning four-time league MVP scored 17 points, grabbed nine rebounds and added two steals as the Beermen took Game One of their best-of-five semifinal series against long-time rival Alaska Aces, 92-79 last Saturday. Fajardo, currently in strong contention for a precendent-smashing seventh Best Player of the Conference award, look to lead the Beermen to the Finals with another win over the Aces this coming Wednesday. The Beermen took a 2-0 series lead after whipping the Aces, 105-94 Monday night.